In the UK, more than 73% of mothers start breastfeeding yet by 3 months only 17% of babies are exclusively breastfed. The World Health Organisation recommends that all babies are exclusively breastfed for 6 months. The UK has some of the lowest rates in the world with only 34% of babies receiving any breastmilk at six months in comparison to 71% in Norway. The benefits of breastfeeding are numerous, and these benefits follow babies through to adulthood. A mother’s breastmilk is perfectly designed for their baby, protecting them from infections and diseases, lowering their risk of Sudden Infant Death Syndrome (SIDS) as well as obesity. There are benefits for breastfeeding mothers too, including; lowering the risk of breast cancer, cardiovascular disease and obesity. In the UK, 8 out of 10 women stop breastfeeding before they want to and this is largely due to a lack of support and information. There is a culture of bottle-feeding which is compounded by formula companies who use misleading advertising to present infant formula as ‘just as good’ as breastmilk and claim benefits that go way beyond nutritional value. The conversation must move away from blaming and shaming individual mothers and recognise that this is a major public health issue that requires action across government, public health and local authorities. 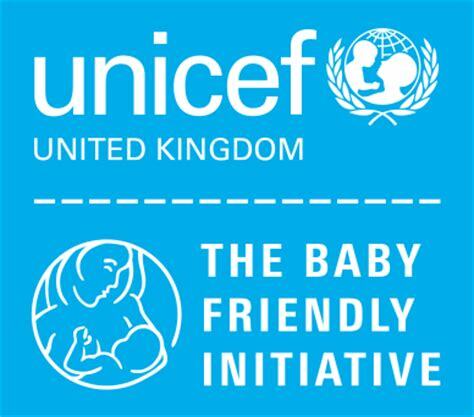 The Baby Friendly Initiative (BFI) is a Unicef scheme that enables public services to support families with feeding, developing close, loving relationships and giving babies the best possible start in life. BFI is not anti-formula feeding but their aim is to ensure that all parents receive the proper information to make an informed decision. BFI wants to ensure that all mothers are supported to breastfeed or, if they choose to bottle-feed, are supported to do this in the safest possible way. Enfield Council has been working with Enfield’s Health Visiting Service to become Baby Friendly accredited. This week, Unicef visited the Civic Centre to talk about the accreditation and its benefits, work through the action plan and discuss any challenges or barriers to becoming Baby Friendly. The Health Visiting Service has received the “Certificate of Commitment” and can now move onto Stage 1 which will make sure that the service has a firm foundation, putting in place all necessary policies and developing a strong training plan for staff. If you would like more information about breastfeeding or support visit the NHS website or BFI website. If you would like more support or information about breastfeeding talk to your health visitor or click here to find a local breastfeeding support drop-in.